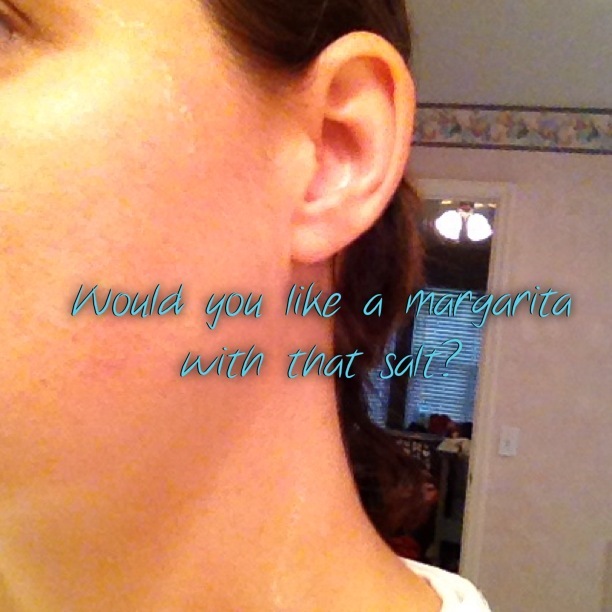 Would you like a margarita with that salt? We’re at day 19 of the Paleo Challenge. I am seeing and feeling results which is awesome but the only thing that hasn’t sorted itself out is my stomach while I run. Today, I planned on doing 5 miles but after running 3, I felt like I needed to make a bee line to the bathroom. Sunday was no better. In the haze of working a 2 day race expo (where KickStart Endurance killed it in its first appearance at a race), I mis-calculated the time I needed to wake up Sunday morning to get back to Melbourne to run the half marathon. I decided to wait for the sun to come up and go for a long run in Vero. I decided to go north to the historic Jungle Trail which is a dirt packed road where grove workers used to haul fruits from the groves. Now there are neighborhoods, forest and river accesses. I set out and knew I was running on tired legs but the weather was perfect and I had hydration and fuel with me. I made it 4 miles out and decided to turn around and head back. About a mile after the turn around, my stomach finally gave way and I started to scout out a secluded spot to take care of business. Yes, this is the unglamorous side of running that isn’t always spoken about but man, let me tell you, just about every athlete will experience it at some point. Just as I finished and walked back out onto the trail, a man and a woman went jogging past me. Of course! I barely see anyone all morning and right when I step out of the woods, these runners pass me and then jog a little ways and turn back around, so I had to face them again! So seriously, what is the deal?! 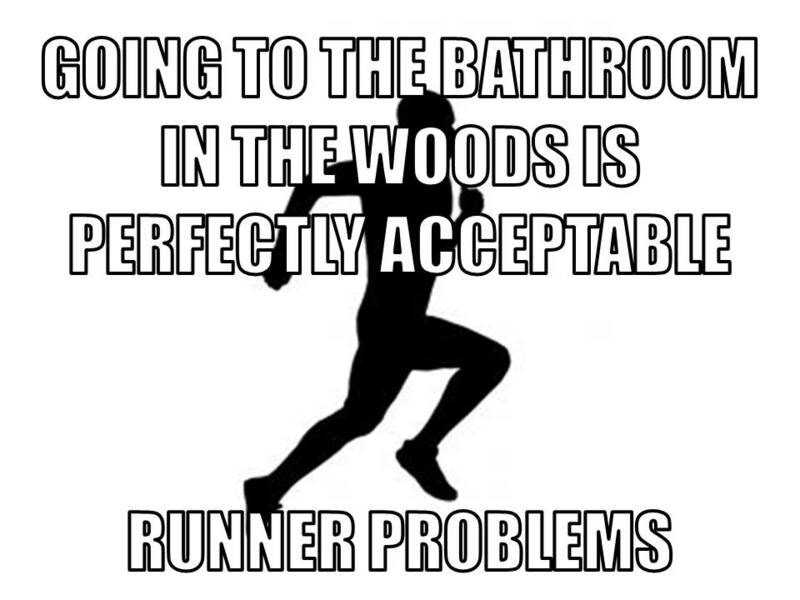 Why can’t I run like a “normal” person and not have to worry about where the closest bathroom is. These thoughts sound like the commercial for over active bladder commercials, “do you constantly look around, seeking out the closest restroom?” Ugh enough with the bathroom talk….runner problems. As for CrossFit, I hit a PR (personal record) yesterday on my clean of 115 lbs. I tried to do 120 lbs. after that but my right arm did not get all the way under the bar. My elbow came down on top of my knee, forcing the bar on to my fingers. This was pretty painful but I shook it off and called it quits on the cleans and moved onto the split jerks, back squats and rowing machine. It wasn’t until around 5 pm yesterday that the hand started to get really stiff and ultimately very painful. I got some ice on it and wrapped it. It hurt so bad that my hand was kinda curled up, unable to move and my wrist and hand were throbbing. Luckily this morning, I was able to move my hand much better and by this afternoon, I got most of my range of motion back. 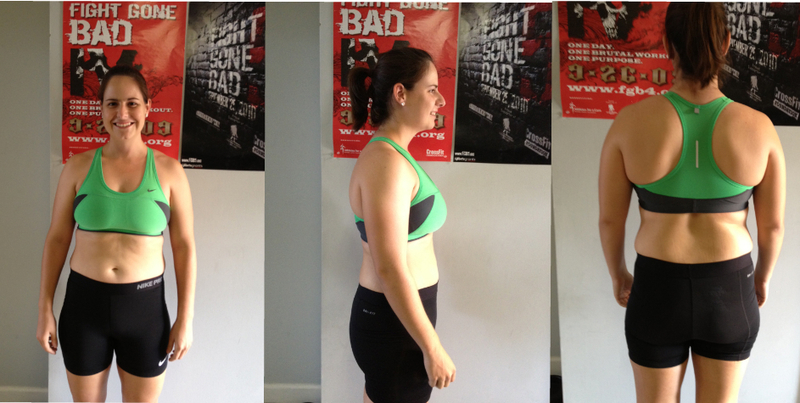 I need to stay healthy as I have my first CrossFit competition next weekend, the Boy Girl Challenge in Palm Beach. 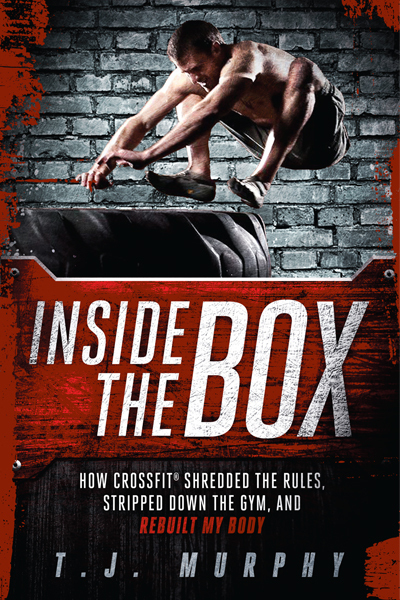 Speaking of CrossFit, I had a great conversation the other day with TJ Murphy, the author of “Inside the Box” and former editor of Triathlete, Inside Triathlon, and Competitor Magazines. TJ comes from a strong endurance sport background but after his body became so broken that he could barely workout, he turned to CrossFit, although somewhat skeptically, and found the ability to not only run again but to train regularly and get back into track and field. TJ and I had spoke about the state of CrossFit and its future. CrossFit Endurance is picking up steam and is a nice middle point for CrossFit and endurance sports athletes. The two sides don’t always see eye to eye but I’m a fan of both sides as is TJ so it was great to hear is perspective and learn more about both industries and how their coming together. TJ was very generous with his time and certainly understood KickStart’s focus and purpose. It is conversations like these where you can connect with others in your industry that truly add to your knowledge. I plan on doing a book review of Inside the Box, so be on the look out. 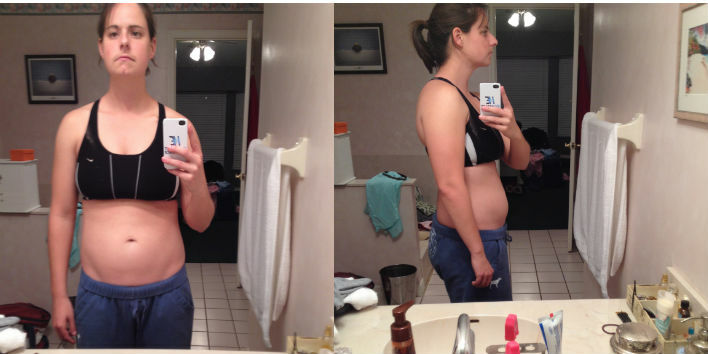 Back to the Paleo challenge, below are my photos from last week and today to create the photo timeline. Lots of meat, vegetables, and eggs have been consumed! I weighed myself yesterday after the WOD with my shoes on and I weighed 155 lbs. I won’t weigh myself again until the end of the challenge. 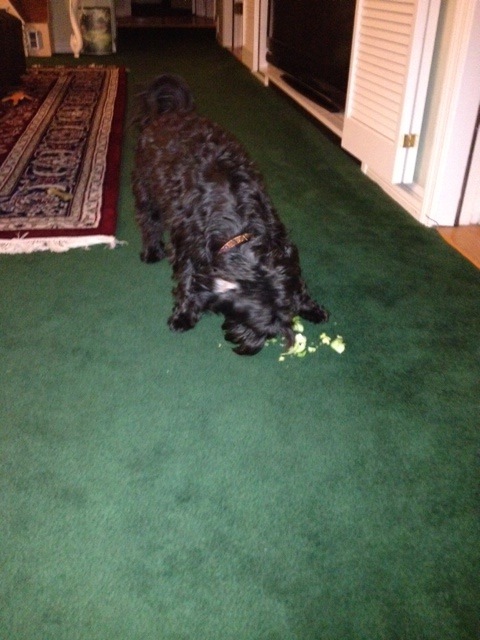 Even Memphis got in on the Paleo action and tried out a stray brussel sprout. Thats my boy! 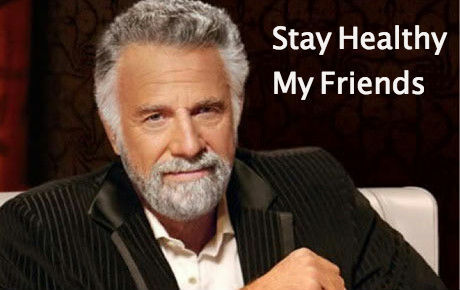 Hope everyone’s week is off to a good start! If you have any suggestions with regards to settling my stomach, let me know! Another Paleo challenge except this time it will be different. I will make it all 30 days without a cheat meal, snack or drink. 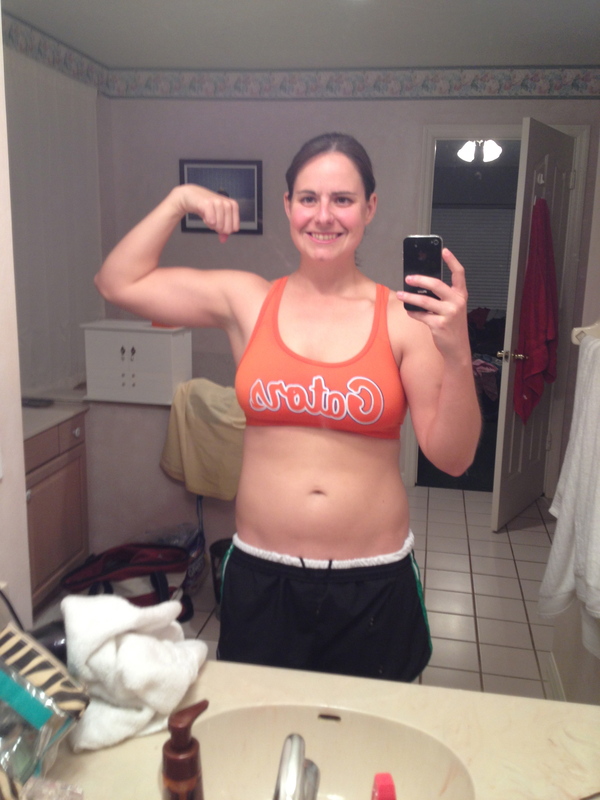 Last time I did a CrossFit Paleo challenge was in August and of course, it happened to end the day after my birthday. Needless to say I cut the challenge short and ultimately, missed out on winning the challenge by a short amount (I see a pattern here). We officially started the challenge yesterday. 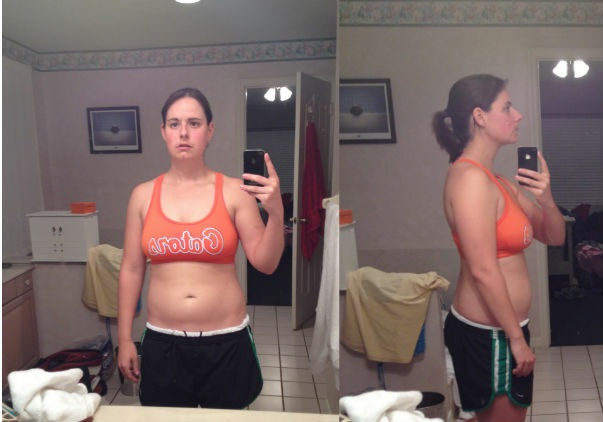 This time around, I am keeping a food log on our CrossFit’s message board and took before pictures and my weight. I am not proud nor happy with where I am currently but I do know that I allowed myself (ample) slack due to moving, starting a business and the holidays. This slack has resulted in loss of muscle, definition and added weight. I know I will start to see results soon, my stomach already feels better, there’s no grumbling and rumbling going on from gas and general discomfort. Its amazing how the body responds to what we put in it. This document was provided to us and outlines nicely the things to eat and drink and vise versa. There is a pot of money and a free month’s membership at stake for this challenge plus of course feeling and looking better so I’m really going to put my all into this. My personal goals this year include keeping my body healthy not just reaching a certain point and then allowing myself to backslide. I may even strive for adding some actual abs you can see! I may not be able to train and race in triathlon until later this year so this is my new “race” to complete and it is certainly ironman worthy. Another goal, which I publicly posted at our box is to clean and jerk 130 lbs. which is about 20 lbs heavier than my last PR so I’ve got two worthy goals to accomplish for the beginning of the year.